Note: At this point, it seemed that Brother Campbell’s message was at an end, but the Lord stirred him later in the meetings to speak of God’s dealings with him pertaining to the year 1992, and the urgency with which we should put our houses in order. If the economy of the world will be in such a distress by the end of this year, then the people of God should be asking the Lord for definite directions pertaining to their own economic operations. The following is the word given then by Brother Campbell in this convention. I am not saying the Lord is coming in the year. Please do not quote and say, “Oh, Campbell knows all about it, and now he has it all figured out, and this is the year He is coming,” or something like this. Do not be ridiculous! I am not saying that! God was saying to me, quite some time ago, when I asked Him about the time frame. I said, “What about the time frame, Lord? When are these things going to happen? When will there be distress of nations, and when will the economy…?” In addition, the Lord said, “Three years.” We are now in the third year. I was talking to a dear sister in the Lord, who heard a senator make the statement that if the American public knew the condition of our country financially, they would be much alarmed and much worried. He said it is much worse than what you think it is, and all they are doing is putting a Band-Aid on it and patching it up. He said those band-aids are going to break after this election. He said Reagan knew it, Carter knew it, all those before him knew it, and Bush knows it, too. You cannot owe the trillions of dollars we owe and something not give. And when our economy falls and bursts open, you can rest assured that the rest of the world is going to follow suit. This is harvest—1992! The harvesting of the tares and the wheat in our lives and not just in the world (that too is going to be harvested). Oh yes! His Word is going to be harvested in us. Oh yes! It is that kind of harvest! This is harvest time! Get your minds off of the whitened fields over there, and begin to concentrate on this field (in our own lives). This field (in us) has got to be harvested. In this field, God has to destroy some wood, hay, and stubble (some things have been growing with the vine), and He is going to do it this year! This year, God is going to probe and probe, and not stop. He is going to dig, and dig, and dig, and not stop until He finally reaches that part in us that He wants to touch. That which He tried to touch 20 years ago but we were not quite ready. What is happening, is that before when God would deal with us (maybe our temperament, or our jealousy, or our covetousness), He would take months and years. But not so now! God said to me that you are going to go through this once, and if you do not go through it, you are not going to make it. We are not going to be in. He has been dealing with you and me about our covetousness, jealousy, greed, or whatever it is (we are all being dealt with about something), and we have not yet yielded and submitted ourselves to the mighty hand of God. He is going to take us through this time, and if we do not make it, we are not going to make the first resurrection, that “Firstfruits Company.” I do not care if someone comes and prophesies it to them! They are not going to be in it! I do not care what anybody tells you—You are not going to be in it! Neither will I! You see, we are going to give our life one way or the other. We either lay it down now or we are not going to be a part of that firstfruits and we will be giving up our physical life as well as laying down our spiritual life. While they went, the door was opened. He brought the five wise virgins in, and He shut the door. Then the five foolish came, and He said, “You cannot enter in at this time.” But, do you know something? Nowhere in that parable does it say that they were cast into “outer darkness.” It does not say they were cut off completely and forever. It does not say that! It does with the parable of the man without the wedding garment. Oh yes! To be without the wedding garment is a vastly different situation. But it was different in the parable of the five wise and the five foolish virgins. I believe that the foolish virgins stayed here and paid the price. Now they had to give their body, not just their spirit. Not just their will, but their body. This is serious! We have to wake up out of the stupor. We have been in a spiritual stupor. We have become so used to going through these rituals and going through ceremonies, and God says, “Away with your new moons and your feasts. I care not for them.” It is serious! God is saying that we either respond to His dealing and His workings now, or we will enter in at a later time by laying down our physical lives, because of the persecution. In the Chicago Tribune, there was an article about the Jews. The Jews are saying that the Messiah is coming. They have never really said that before. They have not put emphasis on it like they are now. Even the Jews are somehow in their natural, rebellious way feeling something or seeing something. They sense that something is about to happen! Something is about ready to take place. They do not really know God anymore, and all they are talking about is their traditional God that they know. But they said their Messiah is coming now. Things are ready for their Messiah to come now. 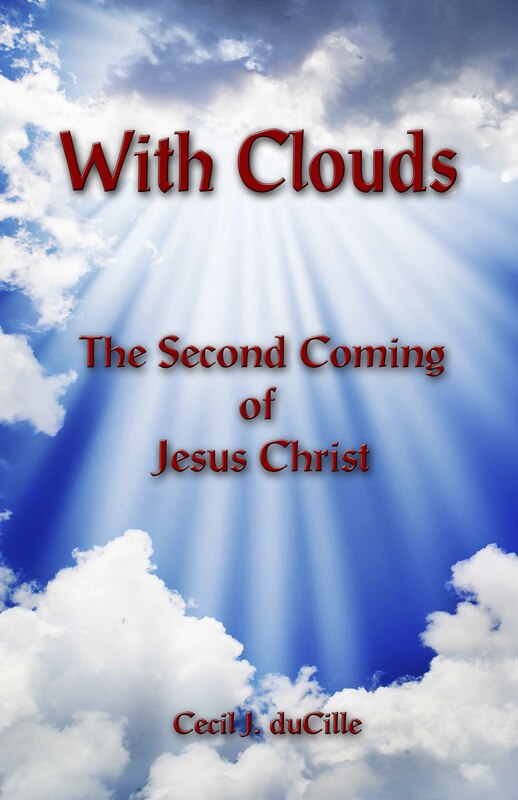 Yes, our Messiah has already come, but He is coming again.